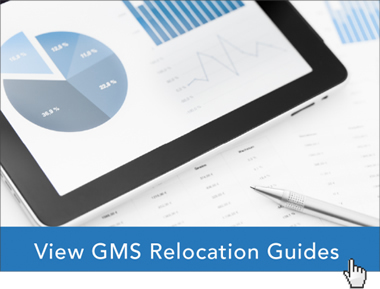 If your company’s relocation plans include Seattle, Global Mobility Solutions (GMS) has created the perfect way for your employees to visit the city from the comfort of their home, office, or anywhere they may be located. GMS Video Spotlight for Seattle and other locations help viewers learn more about new and exciting places. GMS is producing Video Spotlights at the request of our clients who want to share as much information as possible with their employees to ensure successful relocations. Showing the highlights and attractions of an area helps prospective employees, transferees, and their families gain a sense of comfort and lets them quickly acclimate to a new location. The weather in a new location might have an impact on an employee’s decision to accept a relocation assignment. Seattle is located in the US Northwest, an area of dense forests, mountains, and islands located on the Puget Sound. Seattle is widely known for its rainfall, and has been named “The Emerald City” for its abundance of lush vegetation and greenery. The city and surrounding area boasts an enviable amount of outdoor activities for enthusiasts. The climate is mostly moderate and average high/low temperatures range from 47 °F / 37 °F in January to 76 °F / 56 °F in August. Employees and their families benefit from knowing how the relocation assignment will provide for their economic welfare. Knowledge of an area’s cost of living, range of housing options, and transportation venues including air, rail, ferry, and highways help employees make informed choices for their new home and understand commute travel times. Premier airports such as Seattle-Tacoma International Airport (SEA) provide a sense of comfort for employees and their families who may have relocated a far distance. A major metropolitan area such as Seattle provides a wide range of attractions to suit nearly any interest. Outdoor adventures abound within parks and trails, art enthusiasts will find many museums and installations including the Chihuly Garden and Glass, and sports fans have major teams such as MLB’s Seattle Mariners and NFL’s Seattle Seahawks. The Video Spotlight will take your employees and their families on an exciting visual journey to major attractions including the iconic Seattle Space Needle. Employees and their families can learn first-hand where major shopping venues are located. They can find their favorite stores and locate the services they need. This helps them feel “at home” in this new location. They can also find out which restaurants helped Seattle earn a top spot on Conde Nast Traveler’s list of the 20 “Best American Cities for Foodies” so they can make plans for a great meal and feel they are a part of this exciting city. Employees with school age children or teens preparing for college can learn about all of the public and private school choices available to them in their new location. Notable colleges and universities include the world-renowned University of Washington and the Art Institute of Seattle. Providing a wealth of resources for employees with relocation assignments helps companies remain competitive in their industry. Our clients have noted how helpful our Global and North America destination spotlights are for their employees. Global Mobility Solutions (GMS) continues to extend the many valuable resources we provide to our clients into new technologies and easy to use formats. To see one of our exciting Video Spotlights, or to learn how our team of relocation program experts can help your company provide industry-leading resources to your prospective employees and transferees, contact us online or call us at 800.617.1904 or 480.922.0700 today.